This is one way to jazz up plain dates and serves as a great dessert on its own. Arrange dates on a serving plate. Using a teaspoon, scoop just enough chocolate to fill the cavity of the dates. 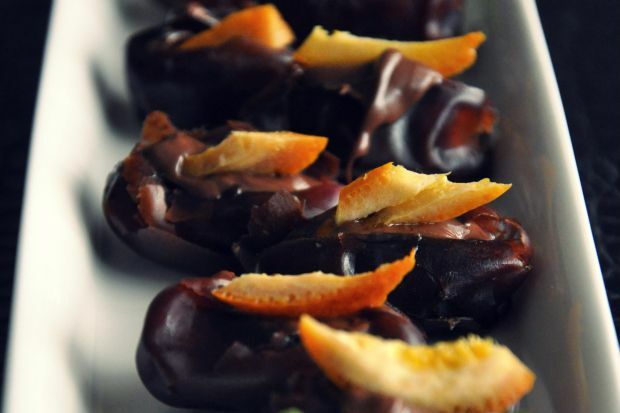 Place the orange peel on top of the chocolate-filled dates and refrigerate until ready to serve.